When you crave coziness and comfort, it is usually the soft furniture in your home that comes first to your mind. And indeed, there are few things more enjoyable and relaxing than to settle into your favorite easy chair or snug couch at the end of a hard day’s work. Besides, your upholstered furniture is most certainly not only comfortable, but also beautiful and elegant – a perfect match for your interior décor. Upholstered furniture is not only comfortable and relaxing, but also quite beautiful and elegant. However, as time passes by, even high quality furniture pieces start to show clear signs of wear and tear – the cushions in your sofa get lumpy, the fabric wears out, the colors fade, etc. Even if the wood frame is still in good condition, the deteriorated upholstery detracts from the overall appeal of the piece and reduces its aesthetical, monetary, and practical value. So, to be able to continue using your cherished old furniture, you need to find an efficient way to restore its gorgeous look and feel. In fact, when it comes to breathing new life into worn out upholstered pieces, furniture reupholstery is your most advantageous option. Old furniture pieces were made to last. Crafted out of solid wood and manufactured to meet specific quality standards, old wood frames successfully resist shrinking and cracking and retain their excellent shape and stability, regardless of the changing ambient conditions. 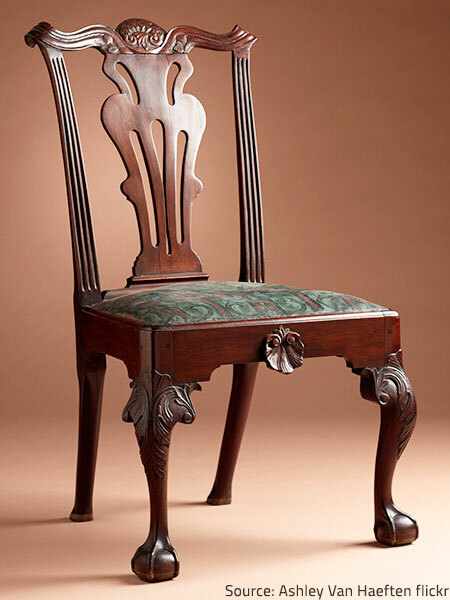 Besides, many vintage pieces include beautiful hand engraving and/or exquisite elements that are simply not done anymore (not to mention the exquisite craftsmanship, luxurious details, and unique artistry, characteristic of antique furniture). New pieces, on the other hand, are usually made up of composite board and manufactured on conveyor belts without any creative elements or particular attention to the details. You may be able to find high quality contemporary furniture, of course, but its cost won’t be easy to afford. So, if you have a quality piece made several decades ago, you are strongly recommended to keep it – it will most certainly serve you longer and better than newer, cheaper furniture. Just have it properly reupholstered to reverse the effect of time and restore it to a serviceable and beautiful condition. Whether you opt for a modern fabric pattern or use period-specific materials and motifs, you will have a superb looking piece for a fraction of the cost of a new one of similar quality. Old furniture pieces are exquisitely made of high quality materials and have great practical, aesthetic, and monetary value. Depending on the complexity of the job and on the type of fabric used, the cost of reupholstering furniture can come close to the cost of purchasing a new piece of a lower quality. 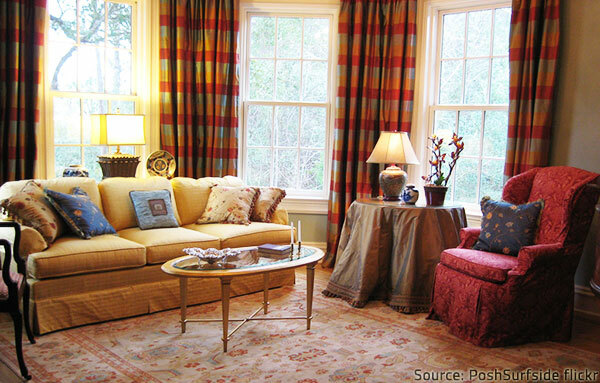 If a single cushion was somehow damaged and needs to be reupholstered, for example, it will cost you no more than $100. But if you want your whole couch re-stuffed, the springs or backboards repaired, and the upholstery fabric replaced with a high quality modern one, you can expect an average cost of about $1,000. Yet, as already mentioned, if your worn-out couch or chair is still sturdy and has a quality frame built with strong hardwood and screws, you should consider reupholstering it, whatever the price. Keep in mind that furniture reupholstery cost is considerably lower than the cost of buying a new piece of the same quality. Reupholstering old furniture will allow you to refresh your home décor without giving up your comfortable and valuable pieces. It’s a cost effective solution that provides you with the versatility to adapt your furniture to any style or purpose you wish without breaking the budget. 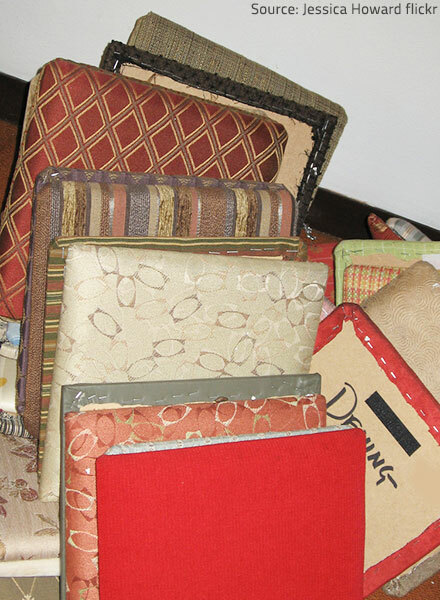 The chance to select a custom upholstery fabric and trim is one of the greatest benefits of reupholstering furniture. It allows you to easily adapt a cherished item to fit in with a change in your home decor or lifestyle. You may just want to freshen up your dated furniture, or you may have decided to move a certain piece to another room which is furnished in a completely different style, or you may have recently remodeled your home and need new upholstery that will match the rest of the interior – whatever your reasons to renew an old piece, furniture reupholstery will provide an easy, affordable, and efficient solution. You can choose the specific upholstery fabric, patterns, colors, and design that will suit your needs and your aesthetic preferences. You will even have the opportunity to make slight adjustments to the furniture’s construction in order to create an entirely new look, if you wish. In other words, you’ll get to keep your treasured old piece of furniture but will have it renewed and transformed in the exact way you want it. It’s worth a try, isn’t it? Quite often furniture pieces have greater value than their market price or practical benefits – they may be associated with cherished memories of a special moment or a special person, or may be family heirlooms, passed down from one generation to the next, or may be a part of a nice set you don’t want to break up, etc. Either way, you will certainly prefer to preserve such valuable pieces, no matter how worn-out or outdated they may be. You can choose from a large variety of upholstery fabrics in order to give your worn out piece the exact look and feel you want. Furniture reupholstery provides you the perfect opportunity to keep the warm feelings associated with your old pieces and, at the same time, to keep your surroundings fresh and stylish as well. All you need to do is have your timeworn furniture reupholstered in a way that will enhance its appeal and will match the overall style in your home. Even if your items don’t have particular sentimental value, you may simply like an old sofa or stuffed chair, either because of comfort or design. There is no reason why you should replace your favorite furniture just because the fabric has faded or the foam padding has lost its support. You can have the piece reupholstered and restored to an excellent condition instead. This way, you’ll be able to continue enjoying it for many years to come. Even though old furniture is often resold when its original owners no longer need it or like it, hundreds of thousands of outdated and/or worn out pieces end up in landfills each year. If you reupholster furniture instead of buying new pieces every time your old ones start looking run-down and tired, you will be reusing wood that has already been harvested. Furniture reupholstery can be seen as a kind of recycling – reusing an item rather than sending it to landfill reduces waste and helps preserve the environment. Actually, reupholstering furniture allows you to get many more years of use from pieces that are still entirely functional but need a little refreshing. Just do some research and find trustworthy furniture reupholstery services in your area to make sure your favorite pieces will be worked on by experienced and skillful specialists. The results of your furniture reupholstery project will be astonishing. So, is it worth reupholstering furniture? If your old piece is of high quality or has any sentimental value, the answer is most definitely “Yes”. Furniture reupholstery is an efficient and affordable way to give new life to worn-out furnishings, you should take advantage of whenever it comes to saving a favorite furniture piece of yours. « Worn Out Furniture: Restore or Refinish?